If anyone can make me love historical fiction, it's one Fiona Davis. See how much Sam, Jess and I loved this work of art. Thank you to Dutton Books for these beautiful gifted copies. As a New Yorker, I absolutely should have taken this book to Grand Central and taken a better picture that seems much more suitable. I am kicking myself for not thinking of this sooner. However, for the sake of getting my thoughts out to you quicker, this will have to do because we need to talk about this book!! 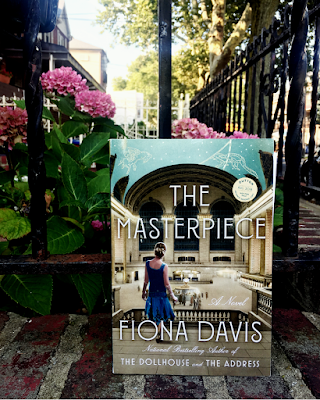 If anyone can make me love historical fiction, it's Fiona Davis. It's no surprise to those who have been following my reviews, that I am slowly becoming a fan of this genre. My first Davis was The Address, which I absolutely adored! Imagine the squeal of delight when I was gifted a copy of this for review. Davis, I'm here for you! I did enjoy The Address slightly more than The Masterpiece, but they are both beautiful reads in their own right. In this novel, we parallel Clara Darden in the 1920s, during prohibition and Virginia Clay, in the 1970s, where women are still struggling to prove themselves beyond a wifely position. Not only do we get a little bit of an artist history from the 1920s, we also get a look into the history of Grand Central Terminal and the fight to keep it a NYC landmark in the 1970s. Admittedly, I enjoyed Virginia's story slightly more because I was fascinated by this history "lesson". Art has never really been my thing, but that didn't diminish my love for Clara's story. 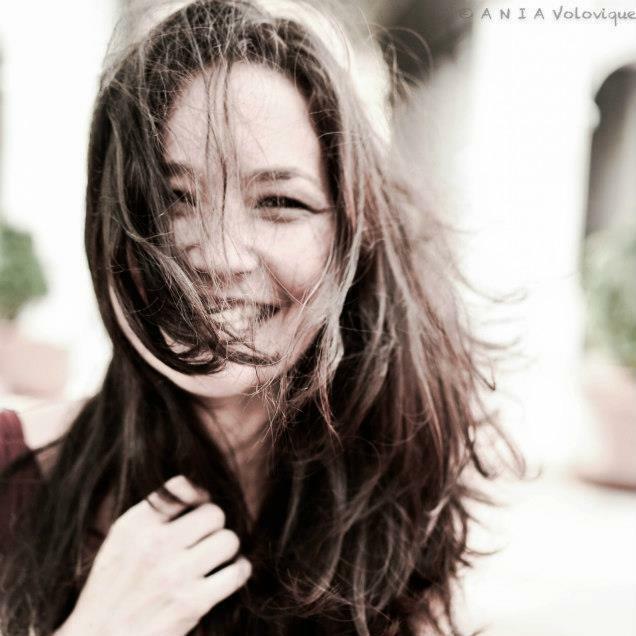 Fiona Davis brings us two extremely strong female characters. She's proving again to be a master in the historical fiction genre and I am here for every last piece of it. I'm so sad to say that this was my first time reading anything from Fiona Davis. Why did no one make me pick up her books sooner?? THE MASTERPIECE was just what I needed. I loved the history, the small dose of mystery, and the writing is incredible. If you've followed my reviews at all, you'll know that I love historical fiction. Give me any time period or event and I'll be completely absorbed. Davis made these characters and this story come to life. I've never been to New York or Grand Central Terminal, but I felt like I was there. We follow two stories and two timelines. During the Prohibition era of the 1920s, we follow Clara Darden, a talented artist that has taken a position to teach at Grand Central School of Art. Then we follow Virginia Clay, a woman struggling to help save Grand Central Terminal in the 1970s. Both Virginia and Clara had such strong and unique voices. I loved both timelines. I learned a lot about the history of Grand Central - I had no idea there was a threat to tear it down. 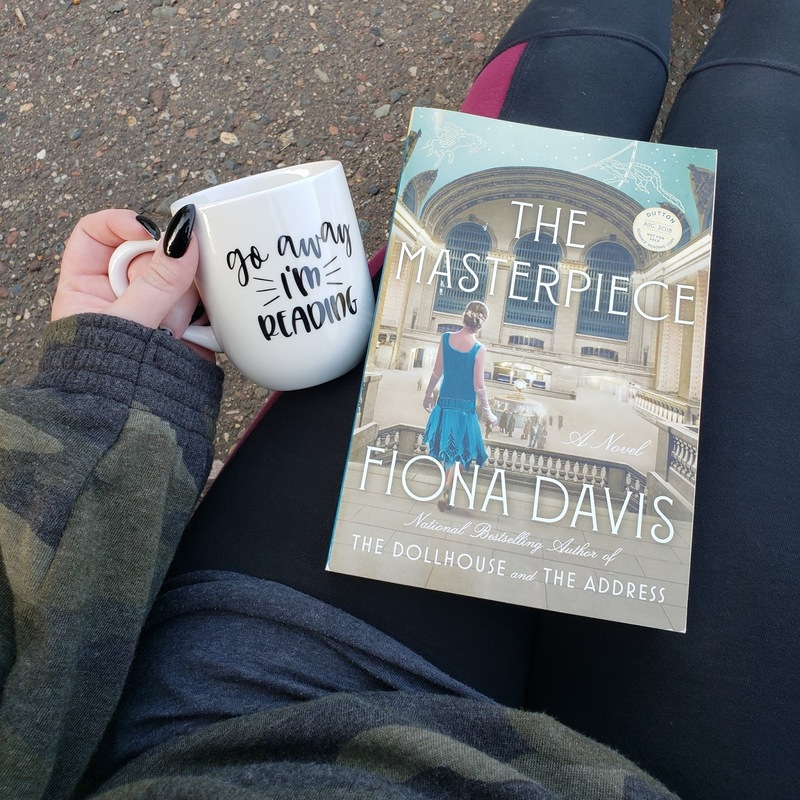 Davis does a wonderful job weaving these stories and I was impressed with how she was able to connect these two women. Overall, if you're looking for some great historical fiction, then this is the next book you need! 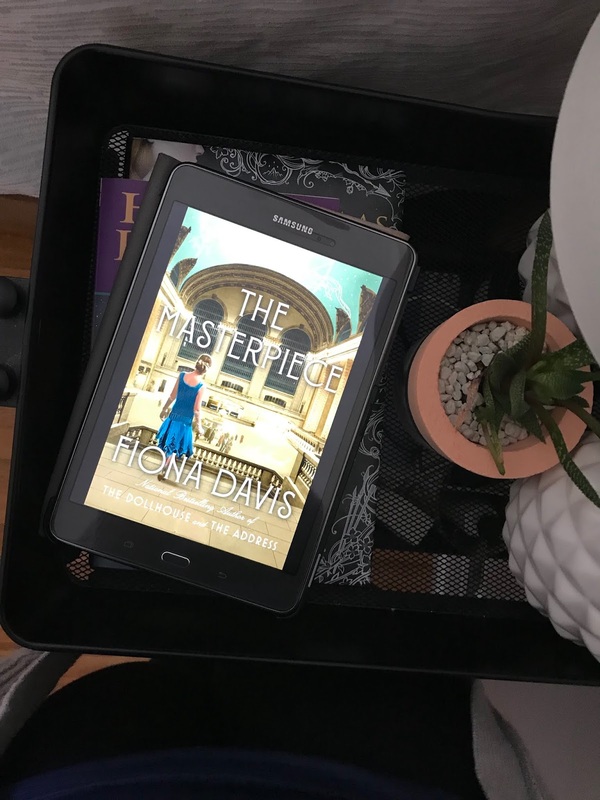 If you want to dip into historical fiction, then THE MASTERPIECE will be the perfect way to do this. It's not too technical in it's history and has a compelling narrative to go along with it. Last year, I was completely obsessed with The Address by Fiona Davis. I quickly discovered that Davis was a masterful storyteller with the capability to completely entrance her reader. Needless to say, I ran to the bookstore, picked up her other novel (The Dollhouse) and waited patiently for her next publication. Luckily for me, I didn’t have to wait too long!! 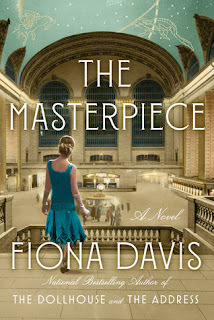 The Masterpiece, the newest release by Fiona Davis, was just as brilliant as I expected. Like her other novels, The Masterpiece tells two linear stories (fifty years apart) where two different women (Clara, an illustrator, and Virginia, a divorcee) try to figure out their place in a male dominated world. I absolutely loved this concept and I found myself completely connecting to both Clara and Virginia. There is such an element of nostalgia to Davis’ work and she has an ability to make me feel like the experiences were my own. Her descriptions, down to the smallest details, are so realistic. It truly feels like you are reading memories. That being said, as much as I loved her writing style and the characters, there was a bit of redundancy that had me distracted towards the middle of the novel. However, this ended very quickly and by the end, I was completely captivated. Overall, I can say with complete confidence that I am pretty much obsessed with the work of Fiona Davis and will anxiously await her next novel. If you are a fan of any sort of historical fiction or a story that builds tension while focusing on character relationships, you will absolutely devour The Masterpiece. I know I did.